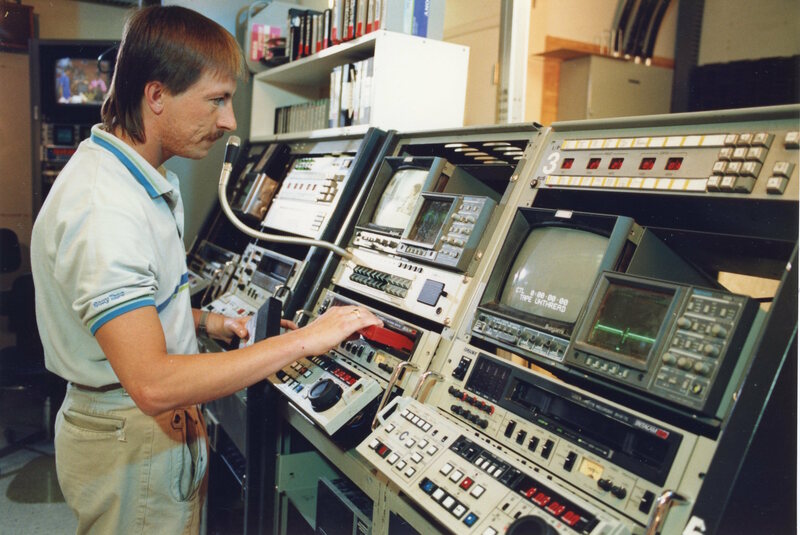 Chris James operates a Betacam machine at CKVR Television Station on Beacon Road. Home/Chris James operates a Betacam machine at CKVR Television Station on Beacon Road. Tags: Beacon Road, Betacam Machine, Camera Man, Chris James, CKVR, CKVR Television, CKVR Television Station.